I have always been into the whole Yamaha streetbike-to-GP-racer conversions. 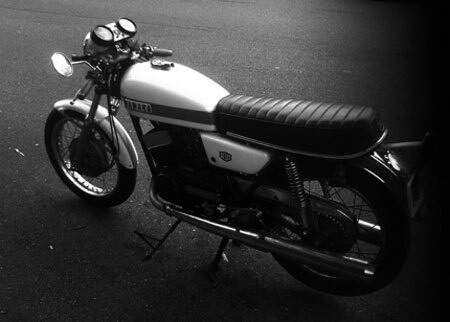 I've even come across official Yamaha R5-TZ conversion instructions as well as some aftermarket conversions, but these were always for making the road bike race-ready. What I was looking for was a hybrid - all the look and grunt of a GP bike but without the full-faired body, and with all the lights necessary for a street-legal bike. Slowly spending time, we would like to keep finishing. The core of the crank it puts out. For SR. It is heavy, being long, there is no [iitoko] is. You do not understand whether according to rumor, with with setting [ru] whether it has not come out. The extension above is bad, is. The electric rammer of the manufacturer, pivot. With the stepping motor, being accurate, it does the movement where the response is good. It recreated the harness entirely. 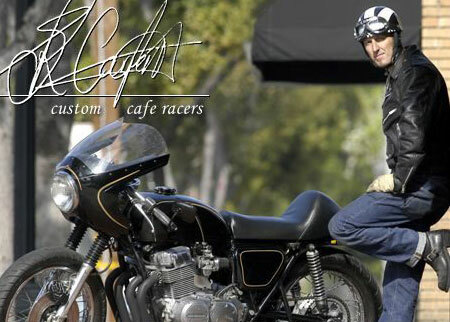 I had written a long time ago about Steve Carpenter and his awesome Honda cafe conversions... well, he's back with an updated site, chock full of video and imagery of all manner of interesting bikes. Check it out. BTW, I've updated my links to correct his link. Alex wrote in last week to let me know about his RD blog called DOUBLEULTRA. Great looking site with some interesting stuff. Looks like he already has a winner of an RD, with some big plans for it. Alex also wanted to give a shout out for his local shop Deus Ex Machina. Even more great stuff and a great site. Check 'em out. 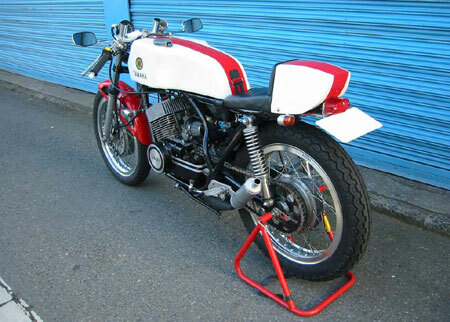 Paul Watts wrote in to let me know about Stephan Morris' just-started teardown and restoration of his R5 in the UK. The level of detail in this article is excellent, going step-by-step and photographing everything. I for one am going to be paying very close attention to this restoration as it progresses, so that I might pick up a thing or two - for the rest of you I'm sure this information will be invaluable as well. Thanks for sharing, Paul! PROJECT ALERT! 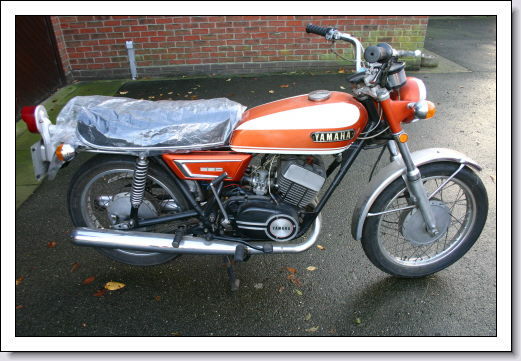 I spied this 1970 Yamaha 350 R5 on Vancouver Craigslist. Don't ask how I wound up looking there. Anyways, the first $250 gets it! Brian forwarded me this great portfolio of vehicle designer Heikki Naulapää. I've seen his work before in the very interesting Aprilia Magnet 3-wheeler. 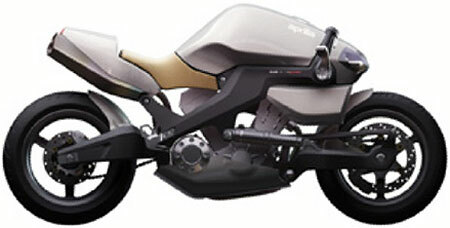 I also found this great Aprilia RAM concept concept pictured above. Compilation of various Yamaha advertising for their RD models over the years. Gotta love the "soundtrack"!